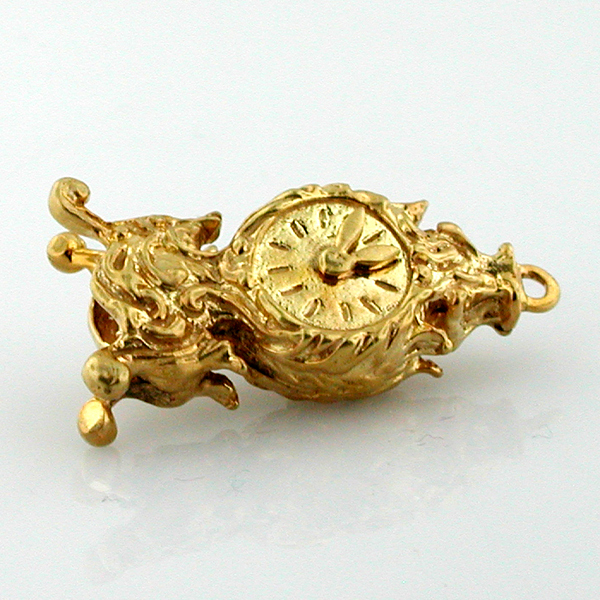 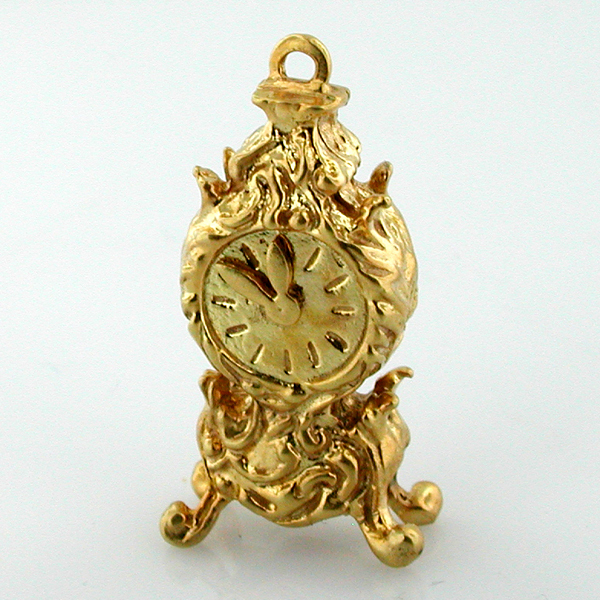 This is a 9k gold Antique Clock vintage charm with movable hands. 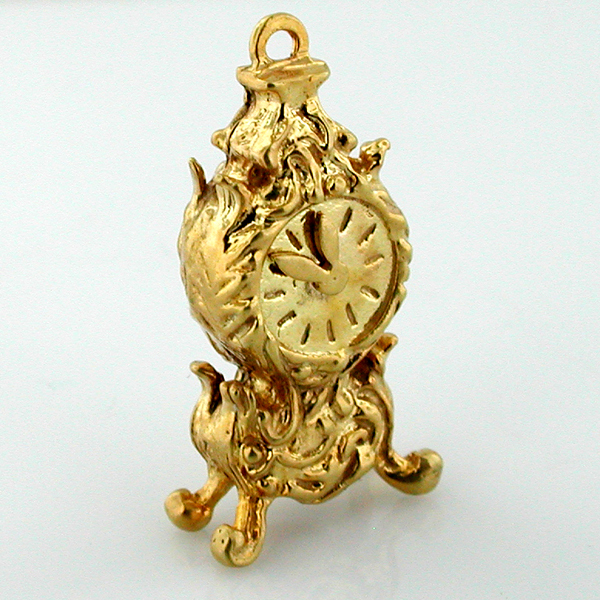 Measures 1-1/16" (26.8mm) x (13.2mm) x 3/8" (9.2mm) and weighs 5.2 grams. 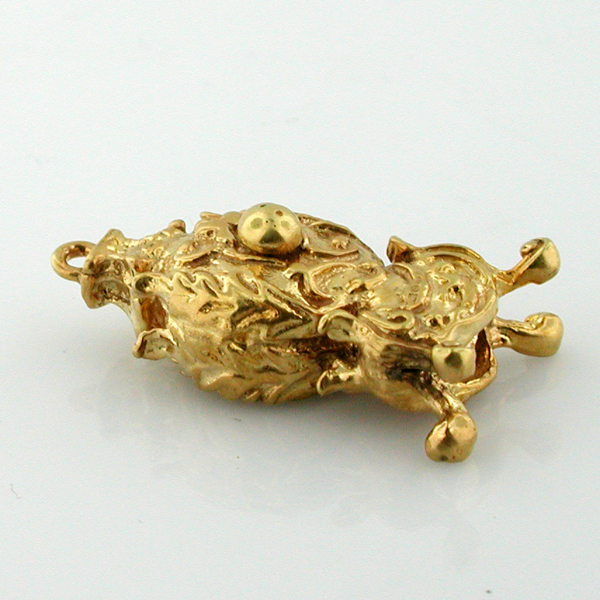 Tested and guaranteed to be 9k gold. 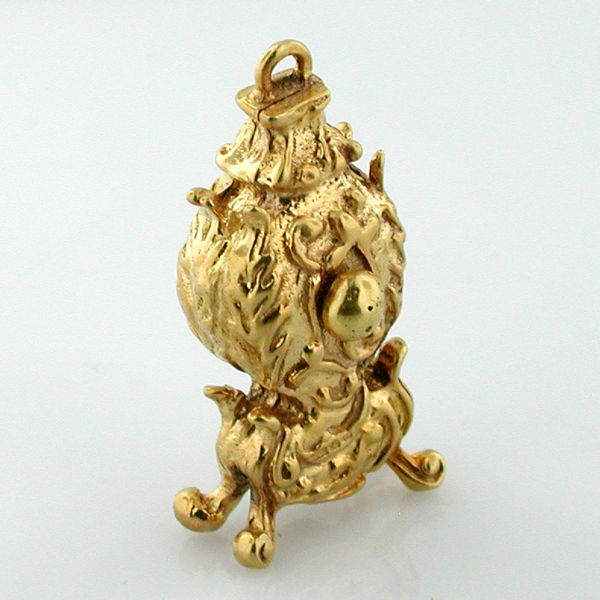 The charm is in great vintage condition.